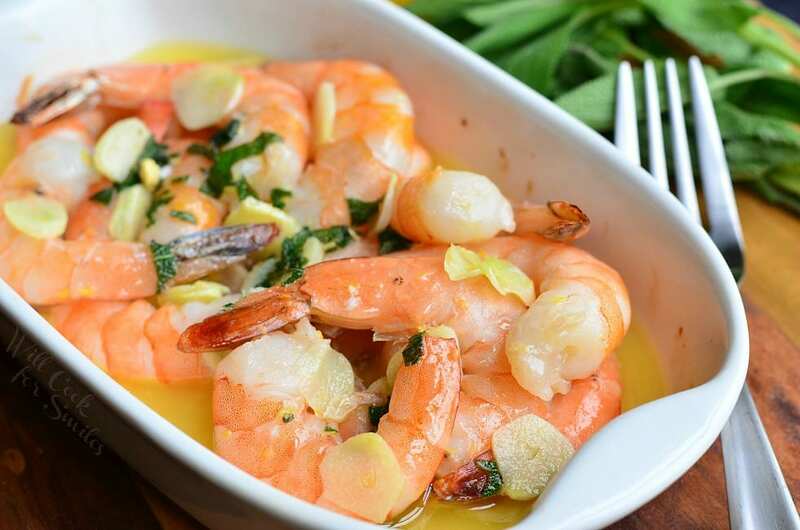 Incredibly delicious Garlic Butter Shrimp dish. 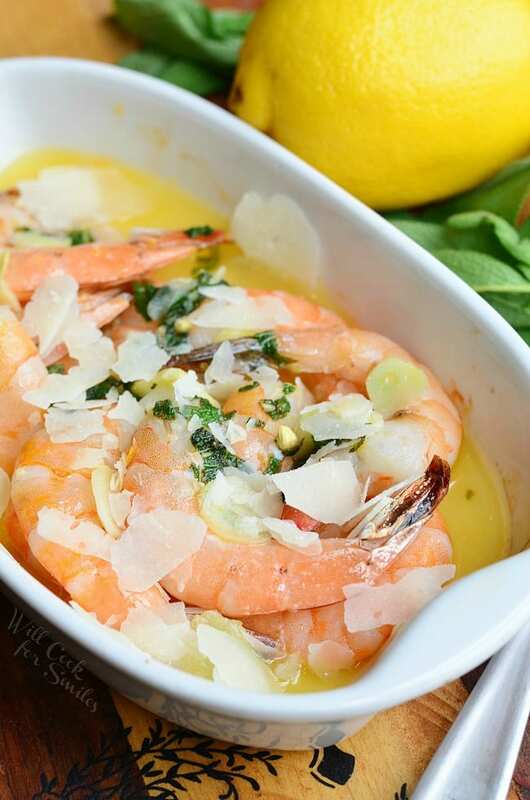 Buttery jumbo shrimp baked with garlic, lemon zest, fresh sage and MELT® organic butter spread. 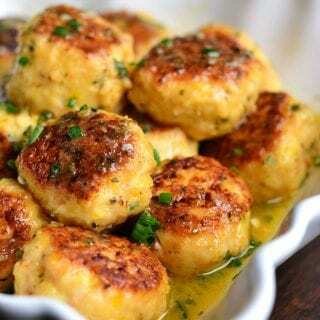 This dish can be made as dinner, appetizer or even finger food for the party. It’s not often (actually it’s pretty rare) that I use butter in cooking. Morning toast, pancakes, waffles, baked goods, yes, they need their butter. 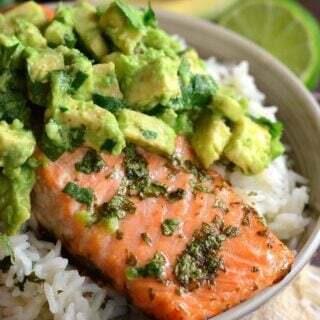 In cooking, on the other hand, I prefer using vegetable or olive oil as a healthier option. There are exceptions of course! 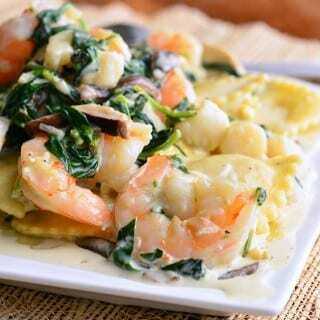 One of those exceptions happens to be my favorite shrimp dish, Shrimp Scampi. Since that dish is made with a good amount of butter, I don’t make it too often. 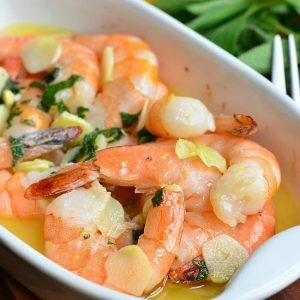 This Garlic Sage Butter Shrimp is a variation of my favorite shrimp dish and it is heavenly! It’s also made with and great new ingredient that I learned about just recently. 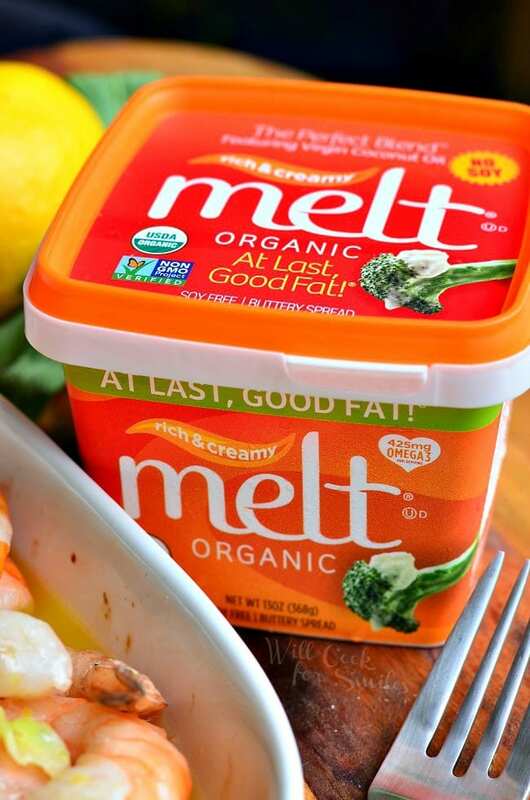 This dish is made with MELT® organic butter spread, which is a healthier alternative to butter. It’s a luscious organic spread made from healthiest fruit- and plant-based organic oils like virgin coconut, flaxseed, hi-oleic sunflower, palm fruit, and canola for a much healthier butter alternative. 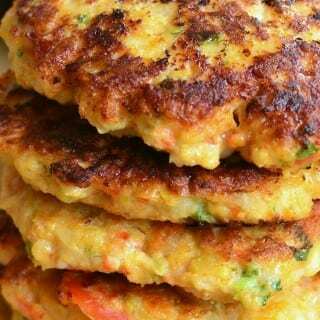 It bakes, sizzles, drizzles, and melts just like butter, so it’s easily substituted in everyday cooking and baking. These spreads are also dairy free, soy free, trans-fat free, and gluten free. Most importantly, it’s available in Honey and Chocolate, which I can’t wait to try. 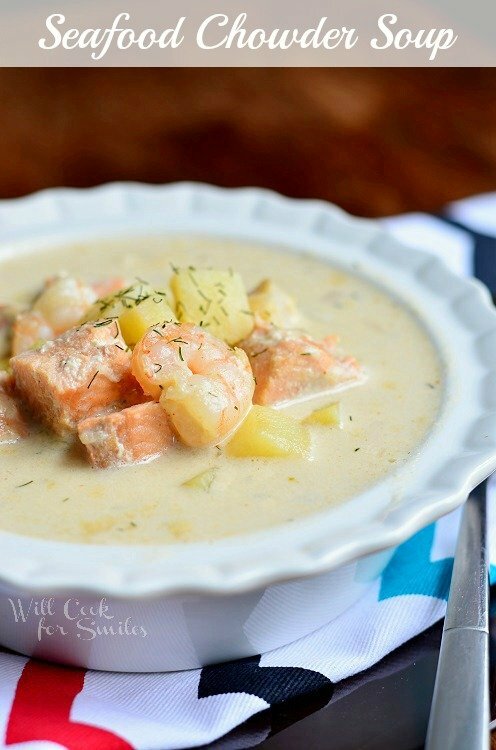 I absolutely loved substituting MELT in this dish. The whole favor pallet of this butter spread was perfect. It has a rich, nutty and subtly sweet flavor. This nuttiness and slight sweetness is absolutely perfect along side of garlic and fresh sage. These shrimp were finger-licking good! 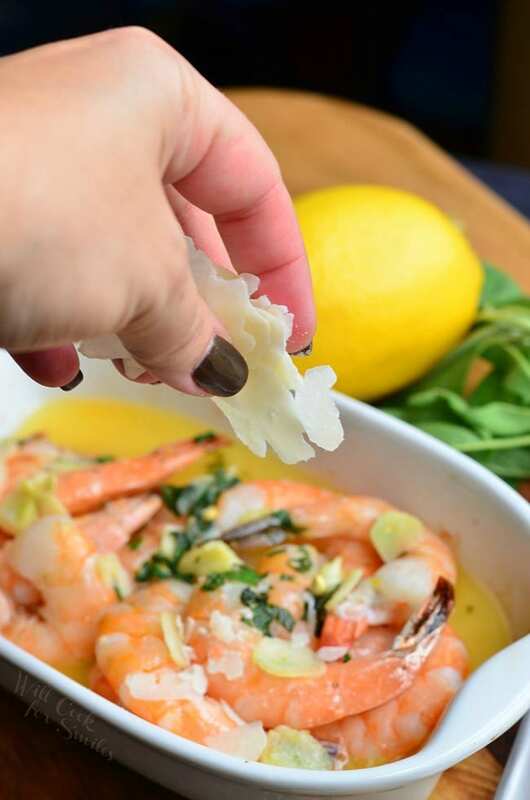 Buttery jumbo shrimp baked with garlic, lemon zest, fresh sage and MELT® organic butter spread. 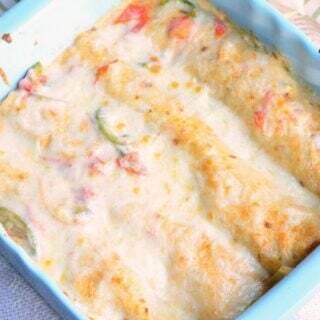 This dish can be made as dinner, appetizer or even finger food for the party. Rinse shrimp and take off the shell if necessary. 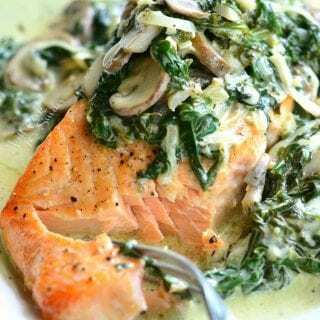 Evenly spread them in a greased, oven-safe dish. In a small sauce pot, over medium heat, melt butter spread and add thinly sliced garlic, lemon zest, minced sage and salt. Stir a few times and pour over shrimp. Spread and coat evenly. 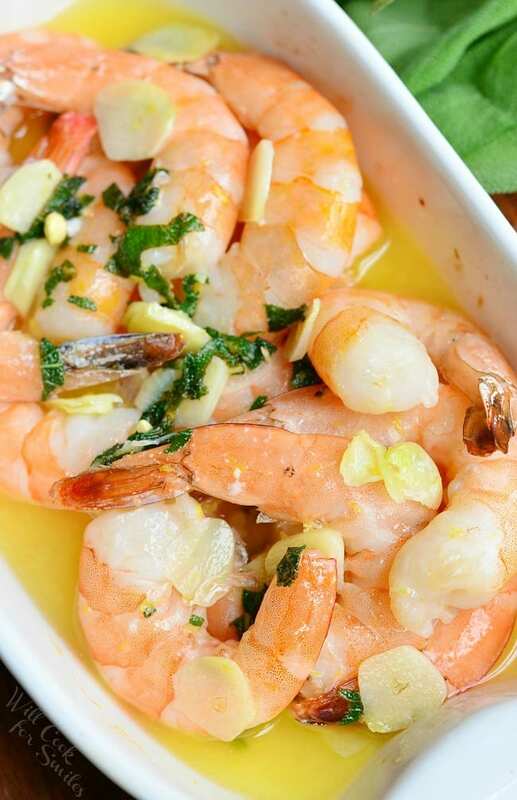 Squeeze some lemon juice over shrimp and place them in the oven. 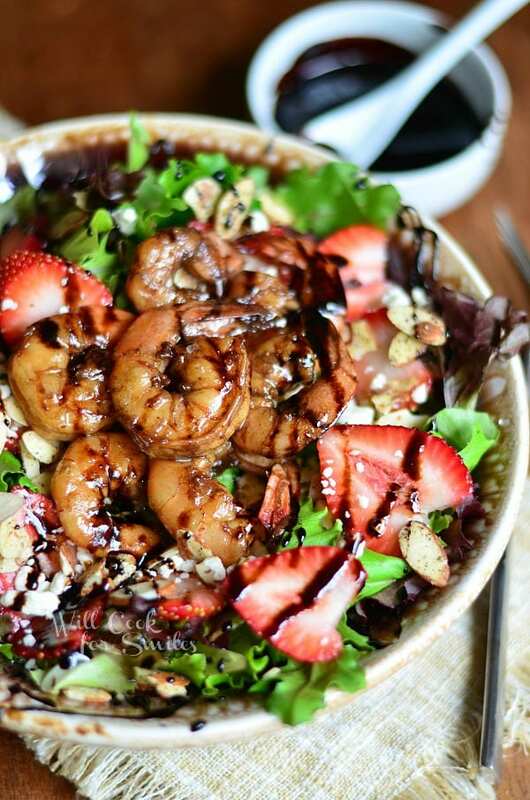 Optional: Sprinkle some shaved Parmesan cheese as soon as you take shrimp out of the oven. Serve: with a side dish, as an appetizer or stick toothpicks in the jumbo shrimp and serve as finger-food at a party. 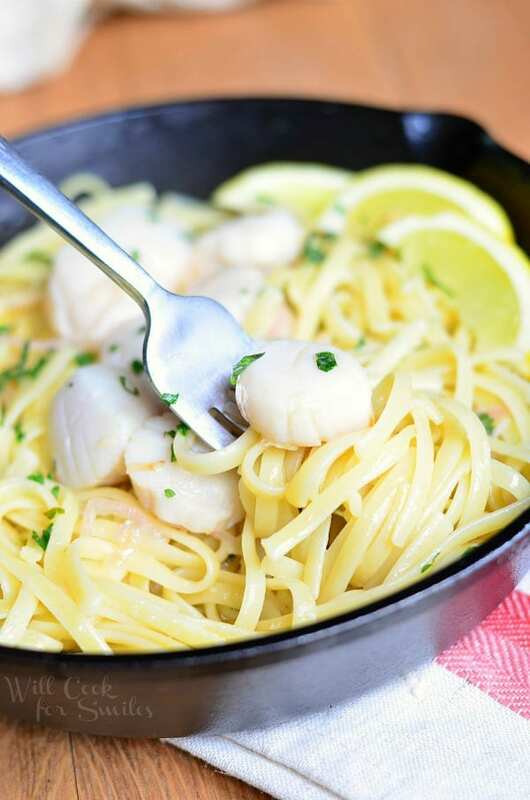 Seafood is wonderful and we have it several times a week. Although the fish we’ve been eating has been from Publix instead of the Gulf — we’re hoping that changes soon. I would love to try the new spread. We also use butter – sparingly. I also use a lot of coconut oil. It is great for veggies but I love that butter taste – is it salted? I don’t like salted butter. Your photos make me want to grab a piece of bread and tie into that sauce. If you want to find this butter while you’re in FL, it’s at WinnDixie. I know every state had them in different stores and FL has them in WinnDixie. I do like it and it will last me a while since I don’t use much butter. Gorgeous as always! I love garlicky shrimp and MELT sounds like a great product. Thanks for sharing! Thank you, thank you, dear!! I’ve never seen this before in our local stores, it looks nice.